Like all our masterpieces our singular works are one-of-a-kind, and totally unique. SKU: RINC01. 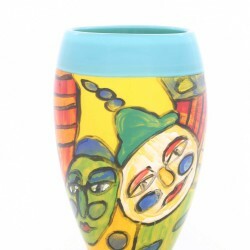 Categories: Featured, Masterpieces, Singular Works, Vases. The Incalmo technique was developed in Venice approx. 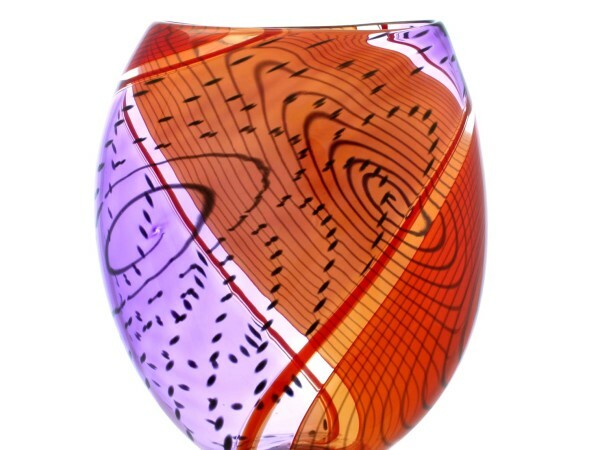 500 years ago and has traditionally been used to create horizontal bands of colour in blown glass. The technique demands the glassblower to blow several individual bubbles of coloured or cleared glass which, at a particular time, when the bubbles have been worked to the desired size, are joined together while still hot. 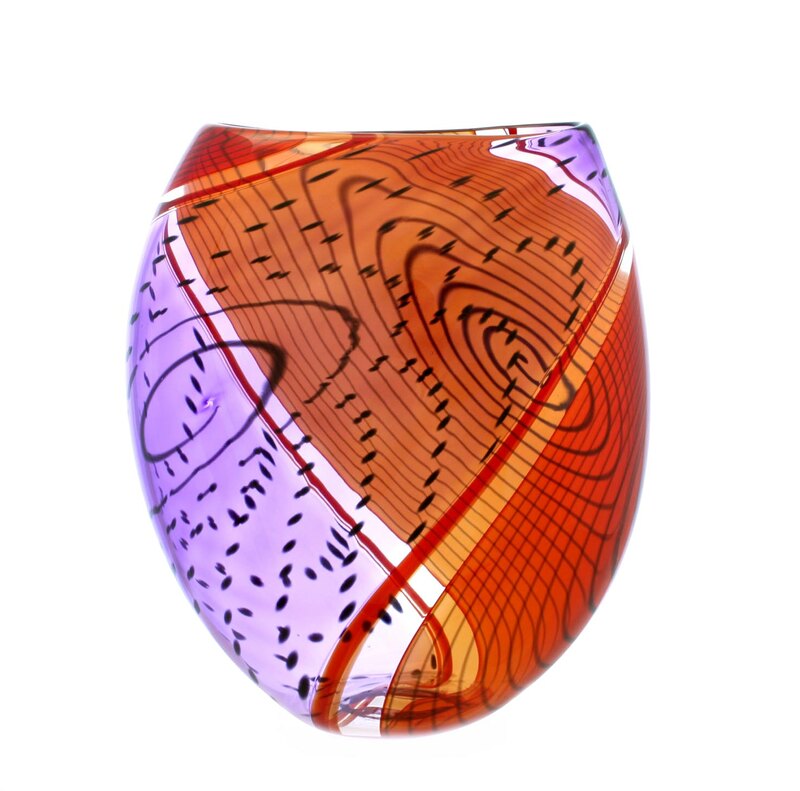 Once the vase has cooled in the annealing kiln, you can feel where the bubbles were joined together. 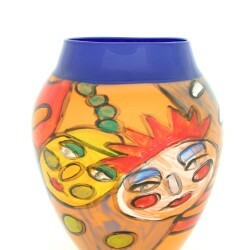 This vase is made in a variation of the technique, known as reverse Incalmo. It involves piercing a hole on the side of the assembled bubbles and attaching them to another blow pipe. The glassblower then gathers more glass and forms the piece into the desired shape. Incalmo is a technically complex and physically demanding technique to use. 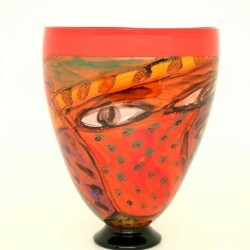 An artist must be a proficient glassblower and dedicated to the process in order to master it. Ola Höglund has adapted the reverse Incalmo technique to create vertical and diagonal bands of colour in his work. His innovative use of a traditional process results in designs that are unique.